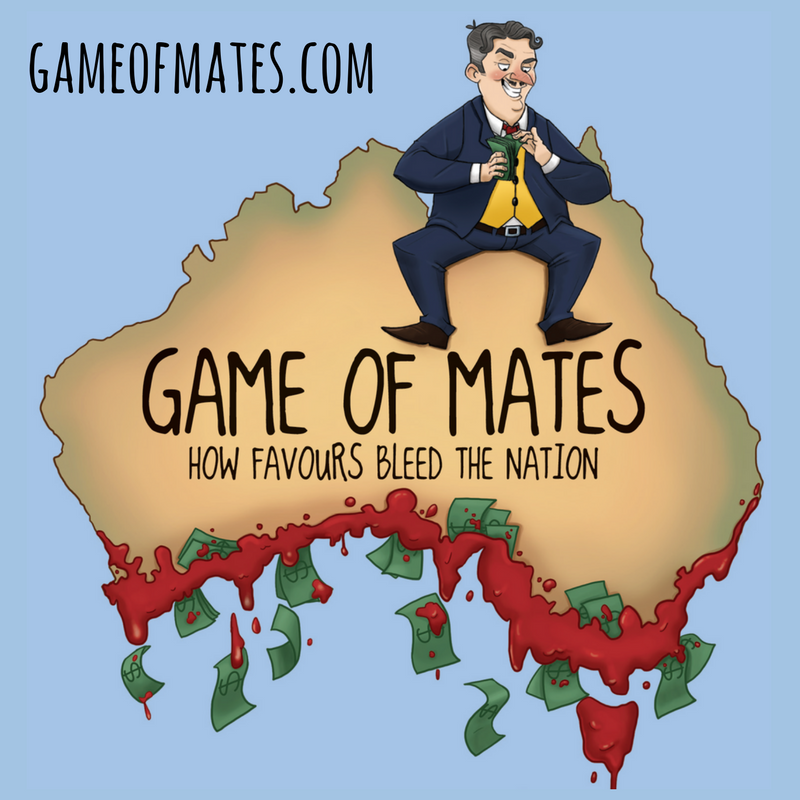 Philip Soos does an excellent job of compiling and sharing long term Australian housing data. 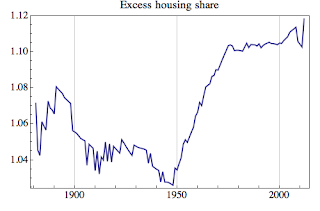 I don’t want to replicate that sort of comprehensive work here, but simply share a few interesting graphs that come from Nigel Stapledon’s latest work on long term housing metrics. First we have a metric that I call ‘Excess housing share’, which is the ratio of total dwellings to occupied dwellings. Notice the massive construction boom during the ‘golden years’ of the post- WWII boom until the 1970s. We can even see the blip of the naughties construction boom. Second is the dwelling occupancy rate in persons per dwelling. 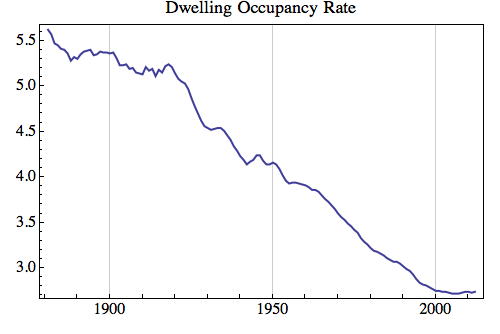 There appears to be both and inter-war decline in occupancy, as well as a post-WWII long boom all the way till 2006. The last metric I call ‘Excess rental growth’ which is the CPI divided by the rental price index, which is a cumulative measure of the increase in average residential rents over CPI. Since the 1970s rents have outpaced CPI, with a stable period from the 1970s to early 2000s. 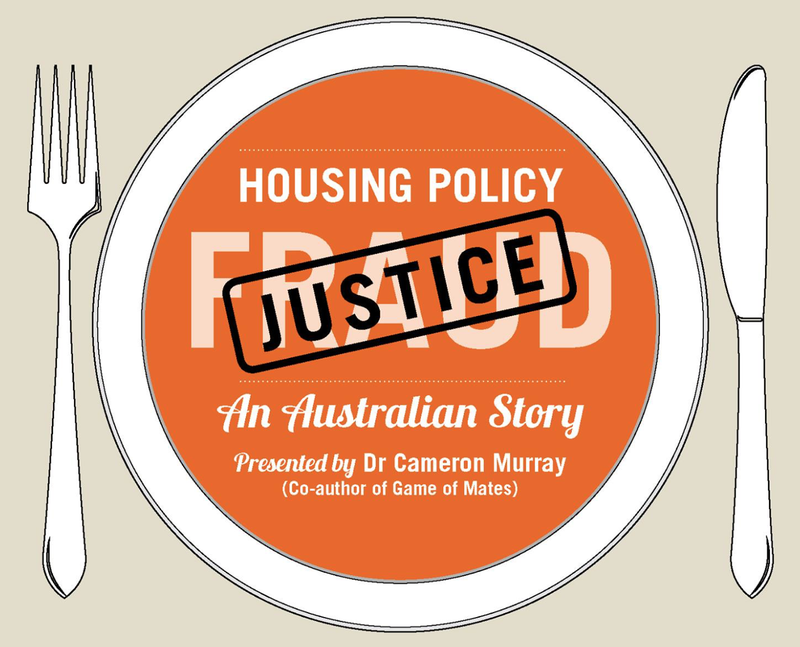 We are currently at an historically unprecedented level of ‘excess rents’. 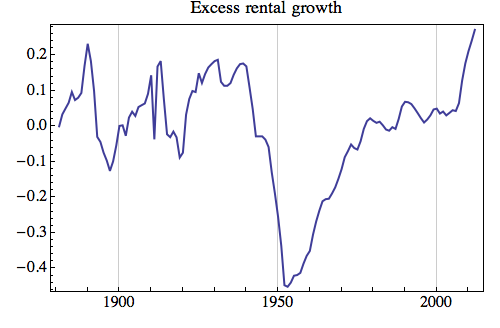 Luckily I didn’t start this graph in 1955 because it would have been one hell of a shock, with rents growing 60% faster than CPI since that time on average. If my gut is correct, the emerging trend of below-CPI rental growth will be with us for a few more years till this measure drops back. 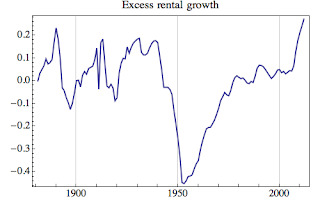 I must note that some of this recent increase, and indeed some of the dramatic post-WWII increase might be attributable to the ever-changing measurement practices and techniques for both the CPI and rental index themselves. We can really only trust the short-term directions, and not the long-term magnitudes. for what its worth my house is zero occupants. Part of the reason for that is I'm here in Finland, but a good part of the reason to not rent it right now is the low return on rental VS the hassles of tenants. My house was built back in the 50's and we didn't have 7 bedroom 4 bathroom homes (fully occupying) our 600sqM blocks. Consequentially I'd have to either ad more rooms (NB spend bucketloads to refurbish) or rent it to 'trashers'. I am sure that this and the aging population (Kids have left home, one partner has died OR kids not really being able to agree how to rent out Mum's home while she's in the nursing home) effects are taking their toll. Don't see why I should be 'forced' to sell just to add to housing stock levels when I happen to disagree with the population boom in SEQ anyway. You can’t borrow from the future!